The fans were also lined up along the route The Beatles' limousine took to the Clarendon Hotel in Christchurch, where the group was staying. At one point a 13-year-old girl threw herself in front of the car, bouncing off the bonnet and onto the road. 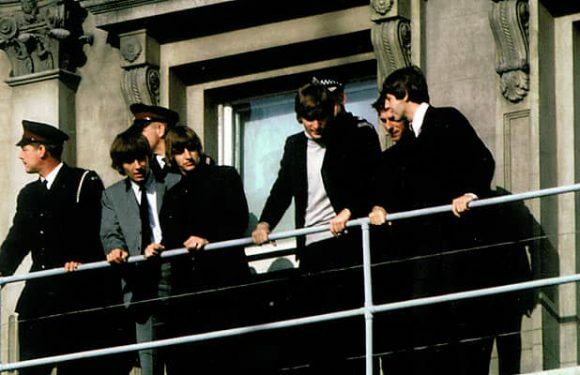 The Beatles took her to their hotel, gave her coffee and made sure she was unhurt. At the hotel some male fans hid in a closet, intending to cut The Beatles' hair in an attempt to impress their girlfriends. They were discovered before they could encounter the group, but the men got away down the fire escape. The Beatles performed two shows at the Majestic. These were The Beatles' only concerts in Christchurch, and their final ones in New Zealand. They played the same 11-song set at both shows: I Saw Her Standing There, I Want To Hold Your Hand, You Can't Do That, Till There Was You, All My Loving, Boys, She Loves You, Roll Over Beethoven, Can't Buy Me Love, This Boy, Long Tall Sally and Twist and Shout.